Leigh Talbert Moore, Author: Crazy Kings & Winning Stuff! Y'all, I'm hitting the writing cave so hard, I'm going cross-eyed. Please forgive me for being the absentee writer-friend. I promise to be back very soon, with a vengance... and a new book! In the meantime, I couldn't resist letting a fellow Indelible writer-friend Laura Pauling (link). 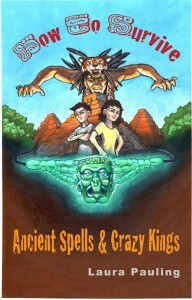 stop by today to tell us about her super-fun middle-grade book about the Mayans, ancient spells, and crazy kings, and down there at the bottom, you can win stuff! I remember the day. This was before I started writing. Sure, I’d dabbled in it but it hadn’t taken hold in my life as a daily activity or a possible career. The scent of a story would hover around me, begging me to write. I’d watch a movie or read a good book and the urge would increase, weighing me down, until I had to spit out some words and start plotting. Eventually I had a first draft. A crappy first draft. I remember reading advice to revise. But I looked over my story and I couldn’t think of one thing to change. Ha! Then I joined a critique group. Oh boy, did I revise, rewrite, re-envision. Over a couple years it was shaping up. Something still wasn’t quite right. The title was okay. But something in the words and the tone of the story felt flat. I put it aside and wrote a second and third story. And I realized I never should’ve spent three years rewriting the same story. I should’ve moved on a lot earlier. Eventually, with more experience behind me, I revisited my middle grade time travel. And bingo! I realized that rewriting it in first person might add that special pizzazz I knew was missing. And the title changed to what it is today. Of course, more scenes were added and deleted. It wasn’t just a matter of switching out pronouns. I queried for a bit. Then I moved on. Last spring, I self published my YA, A Spy Like Me, and then started writing the sequel. But something about How To Survive Ancient Spells and Crazy Kings wouldn’t let go of me. So after much debate, I submitted to Pugalicious Press. And Voila! I’m extremely excited to send this book baby out into the world. It’s been inexistence in one form another for years! Thanks, Leigh, for hosting me on the tour! Also, a quick shout out to Juliana Haygert! 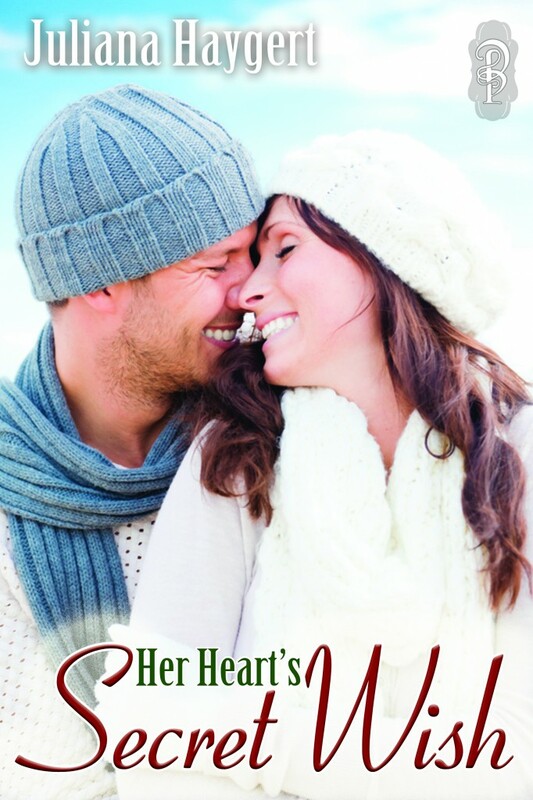 Her new book Her Heart's Secret Wish (link) releases today, 12/12/12. What a fun release date! Be sure to check it out, and have a super rest of the week, reader- and writer-friends! I'll be back Friday with a Big Surprise! It's so great to see all our writer-friends doing so well. Thanks for sharing how your book came to be Laura. I've always been intrigued by the Mayans so am excited to read your book. Good luck in the writing cave, Leigh. Always interesting to hear how books come to be, hope you are uncrossed eyed now at your sea. Mayans are scary cool stuff! Thanks for sharing your story, Laura. Congrats, Laura! What a fun read! Amazing what changing point of view can do for a book! Congratulations, Laura. Congrats again to Laura and Juliana. Love hearing the story behind the stories. Good luck!